Top Tips for your First Stand at an Exhibition? When you are starting out in business, or just looking to increase awareness of your current company, having a stand at a market specific exhibition can open you up to a whole new variety customers, contacts, and ideas. Because you only have a small space to promote your business, you need it to stand out with your branding as much as possible. Things like roller banners are great for a professional look and are also relatively inexpensive. If you have a bigger budget, something like a pop up display will cover the back of your stand but also make your space eye catching, informative and professional looking to all passersby. Having a table at the front middle is also useful as a way of talking to clients over, also having things like leaflets and brochures sitting on there. Because you are behind the table it gives an opportunity to be approachable as there is a space between yourself and the people coming to your stand. This table is a focal point and it will enable people to feel comfortable coming over because if you didn’t have one, then they would feel like they are intruding. A thing we have found to work is to display the 5 reasons people should come and talk to you on your display. This gives a reason for people to come and talk to you as they will see clearly what you offer. If it just your logo and website address, some people may be confused as to what you are offering. Making sure the people who visit your stand leave with something such as a business card, brochure, or leaflet is very important. They will truly review everything they have visited at these events once they get home, so literature is important. 1) Make a memorable impression. 2) Make sure you educate as many people as possible and give them literature. As you are going to be one out of many stands at the event, standing out, looking professional and giving people a reason is key to making the most of your time there. 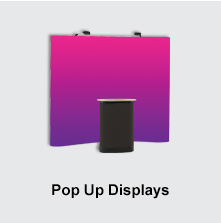 We provide a wide variety of equipment to make you stand out at exhibitions such as banner stands, pop up displays, A Frames, and roll up banners. 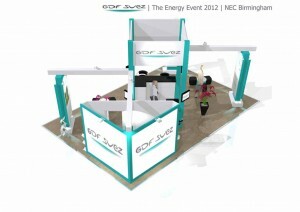 So give us a call today if you are needing any help and advice with your next exhibition stand. 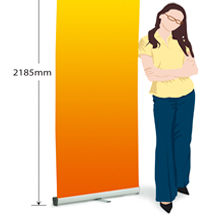 As we are the leading supplier of exhibition equipment, we get a lot of customers who obviously have stands at these events. Some of our customers miss out on exhibitions because they simply don’t know about them. 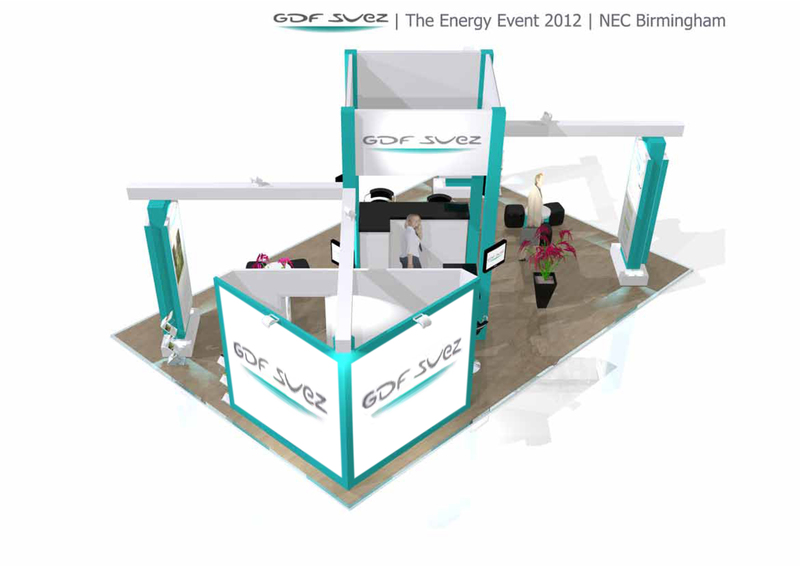 Ponderosa Group recently asked WeDisplay to design, produce and install a bespoke exhibition stand for one of their customers GDF Suez who are part of the GDF Suez Group and provide energy solutions for industry and commerce. Ponderosa are a leading provider of world class brand thinking, highly responsive direct marketing and digital expertise and wanted an exhibition provider who could compliment their own very high standards. Through 2D design concepts, design development and attention to detail we were able to deliver an exhibition solution that everyone was delighted with. Our on-site installation team are exceptional with qualified set builders, electricians and graphics application specialist. The client was delighted with the quality and efficiency from start to finish. “Just wanted to a big thank you to you and your team for all your hard work and going the extra mile to produce such a great stand. We would like to thank The Ponderosa Group for the opportunity to work with them and look forward to doing more in the future.